Continuing the butternut squash saga of last week, I still had one more package of thawed butternut squash that I needed to find use for. As I’m very fond of using vegetables in cakes (see below list), I’ve decided on making breakfast muffins with it. 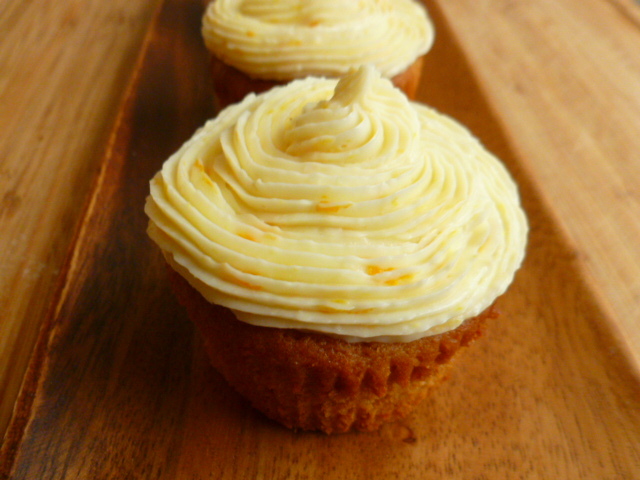 As I also love citrus cakes, I’ve decided to flavor the muffins with orange juice and zest. Some leftover golden raisins, that were soaked in rum, quickly found their way into the bowl, along with warm aromatic spices. 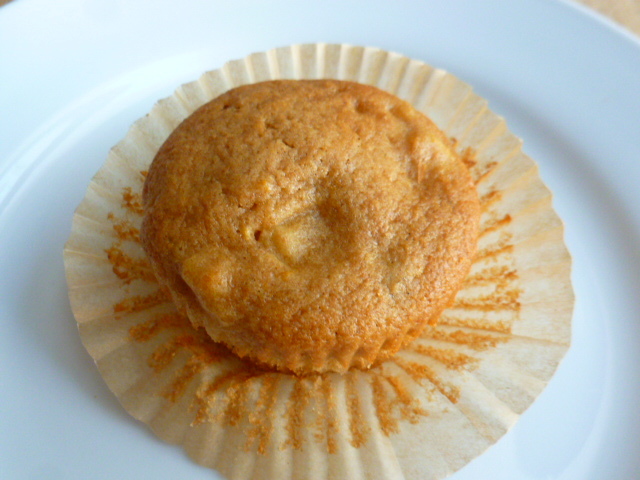 The result was even tastier than what I had in mind: the muffins were moist, not overly sweet, and had a surprising bite, a bit similar to diced apples, as the butternut squash kept its shape while baking. 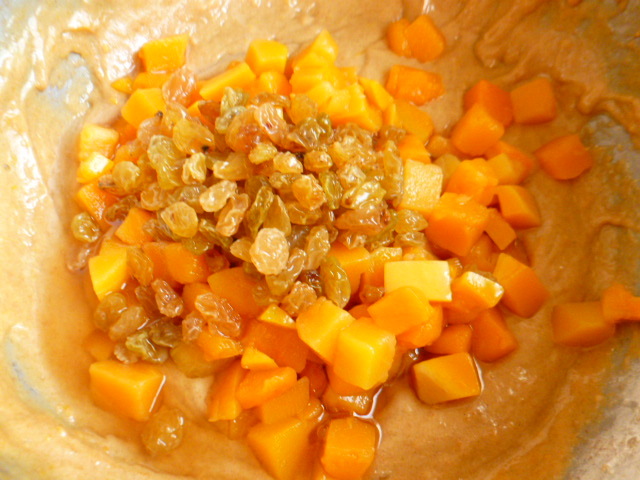 The rum and raisins complemented the spices flavors and aroma, along with the freshness of the oranges. The muffins are perfect for breakfast, or as a light snack any time of the day. 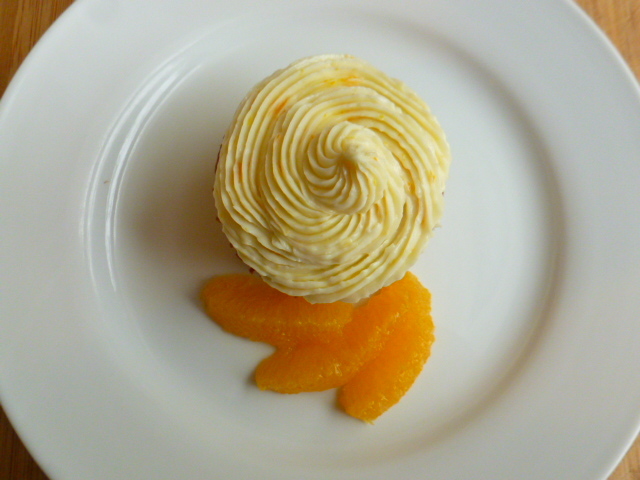 To serve them as a light dessert for brunch, I topped them with a light tangy cream cheese and orange frosting, and with some fresh orange segments. Either way you’ll serve them, I’m sure you’ll enjoy. 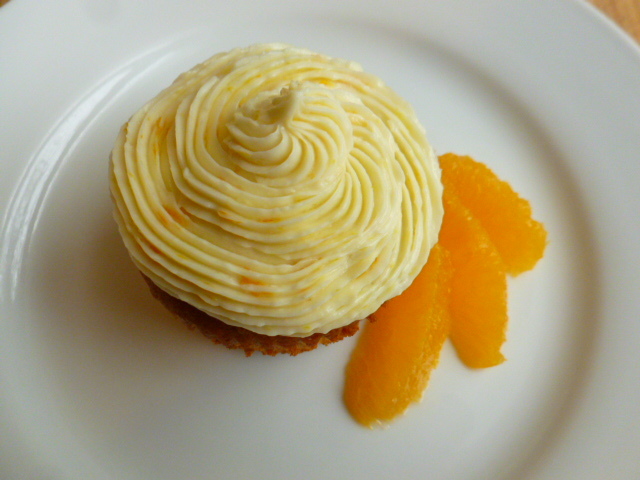 * I find that one cup of sugar is enough, especially when serving the muffins with the cream cheese frosting. However, if you prefer sweeter muffins, increase the amount to 1½ cups. * American Neufchâtel cheese is a lower fat, tangier version of cream cheese. It is not to be confused with the European cheese, which resembles Camembert cheese. If you can’t find it, regular cream cheese can be used instead. * For instructions on how to cut clean orange segments, see THIS post. * For other cakes with vegetables check out these posts: Carrot muffins, Beet-chocolate cake, Zucchini- chocolate cake, sweet potato-apple bread. 1 tsp fresh orange juice. 1. 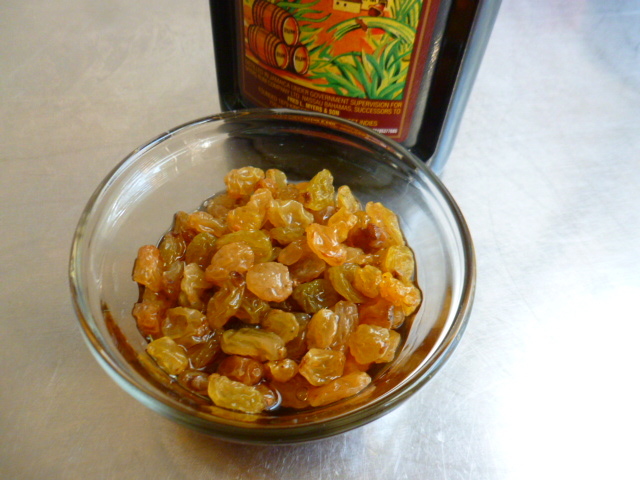 In a small bowl, mix the raisins with the rum. Leave at room temperature for 20 minutes. 2. Turn the oven to 350F (175C). Line 2 cupcake pans with 16 paper baking cups. 3. 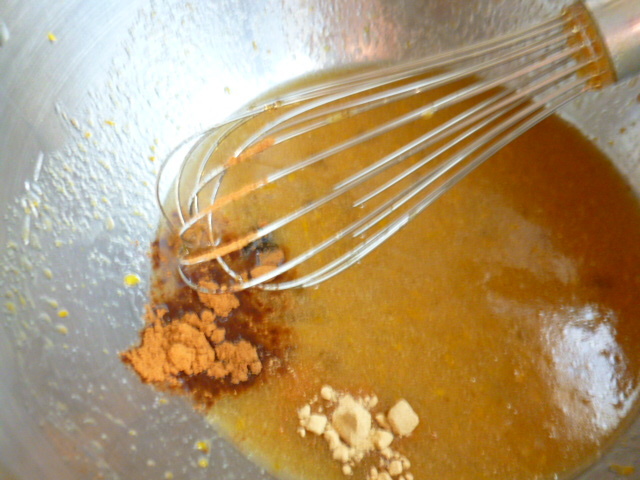 In a large bowl, whisk together the eggs, orange zest, sugar, orange juice, oil and spices. 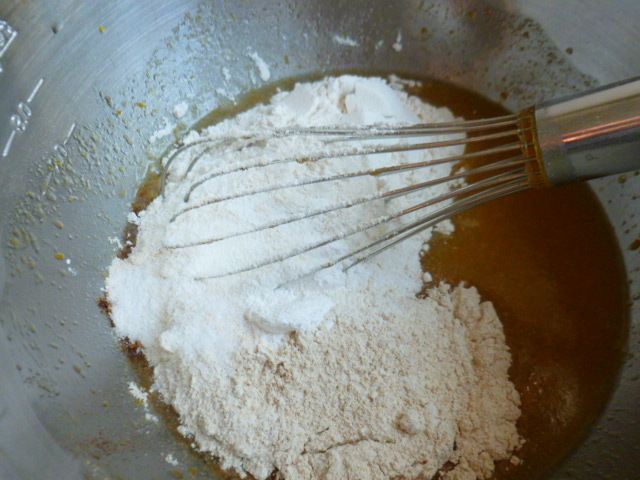 Add the spelt and white flour, baking powder and salt and mix well. Add the butternut squash and the raisins with the rum. 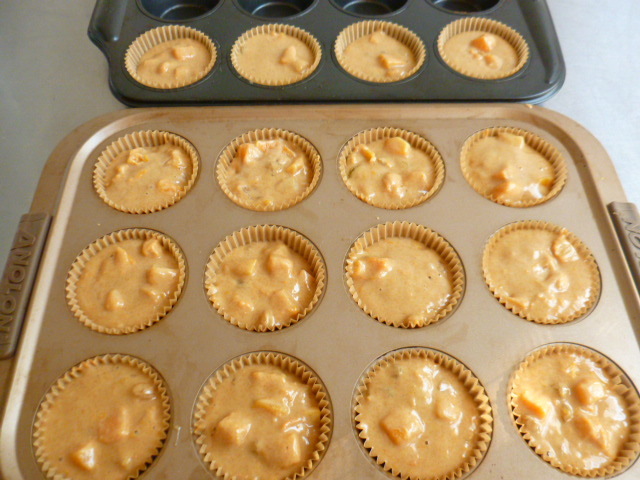 Mix briefly and divide between the baking cups. 4. 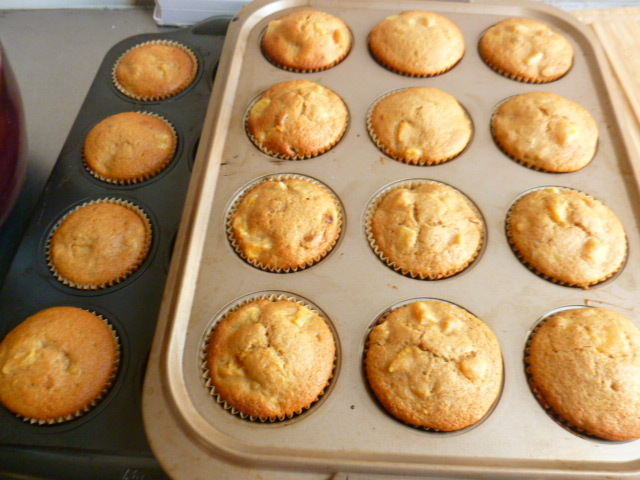 Bake for 35 minutes, or until a tooth pick inserted in one of the muffins turns out almost dry. Transfer to a rack, to cool completely. Serve as is, or top with the cream cheese frosting. 5. 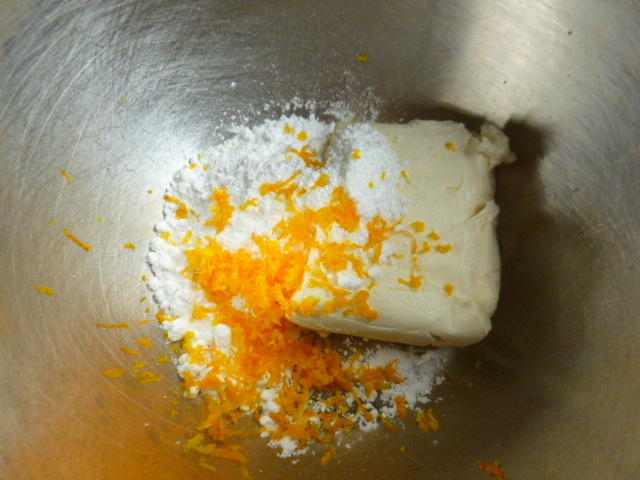 The cream cheese frosting: mix the cheese, powdered sugar, orange zest and juice in a small bowl. 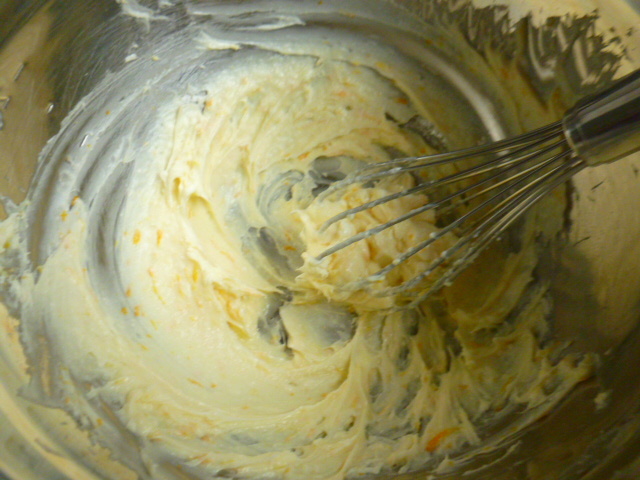 Transfer to a pastry bag fitted with a pastry tip and pipe the frosting over the muffins. Let set for a few minutes in the fridge before serving. I love the orange/yellow/gold theme running throughout. Great combination of flavors. What an interesting combination of flavors. Sounds wonderful! I love butternut. Farmguy and I just made butternut and ginger soup last weekend in our new Instant Pot. Wow.. it’s so cute and lovely pics..
mmm. . . the muffins look delicious. I always enjoy reading your notes, and often end up clicking on links to previous posts. I continue to be awed by your knowledge of cooking and the depth of this website. You are a genius to think of this combination. The recipe looks so delightful! It’s those rum-soaked raisins that made your muffins special :) I would have thought the squash would have broken down more but it obviously didn’t. You’re so right Judi, the rum-raisins added wonderful flavor and texture. Squash with orange makes an amazing team. Loved the choice of flavours. Lovely combo Ronit. I can only imagine these muffins taste delicious! 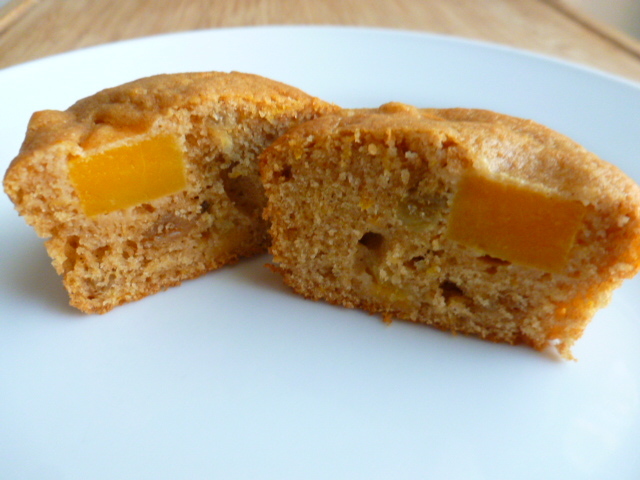 Raisins soaked in rum and spelt flour are my things, and I just went and bought some butternut squash today – I think I am making these cuties tomorrow! He did, and said to thank you! Beautiful & delicious muffins ! 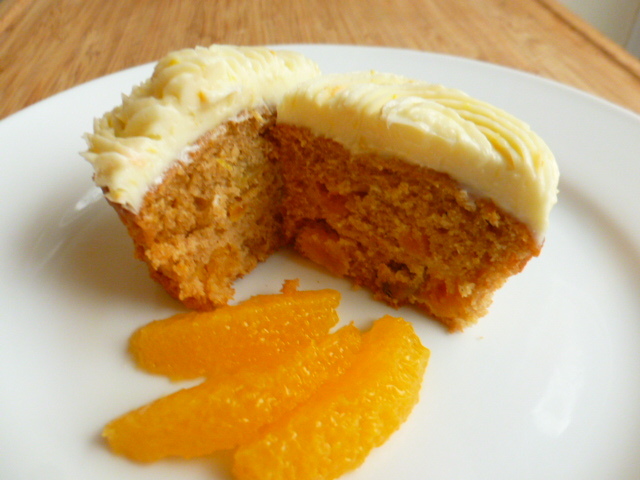 Love the addition of squash, orange & raisins !! This looks so delicious, I’m definitely going to give this a try! Wow and wow Ronit! These muffins have everything going for them. Look at those ingredients, love it all. And it makes for a wonderful presentation. I especially love the cut up one showing the butternut squash cubes intact almost. Nicely done! Amazing recipe! Amazing combination of flavours. Nice share Ronit. 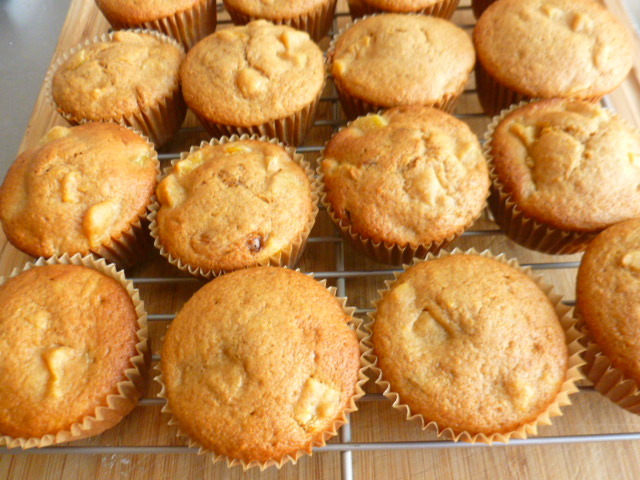 Mmmm, I love the spices in these muffins which would compliment the squash perfectly. 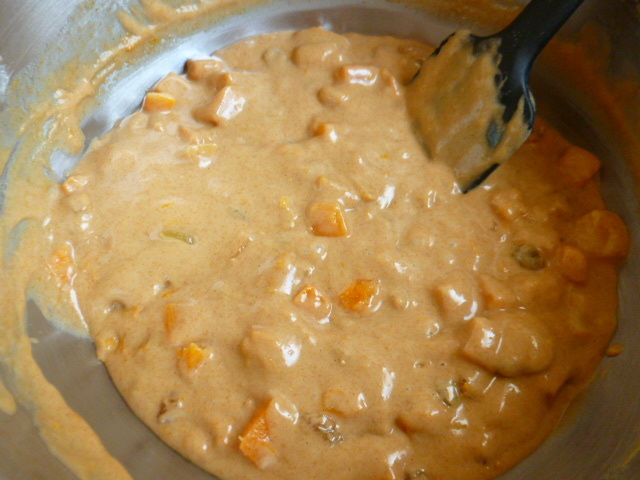 In Australia we have some traditional recipes that include butternut squash but generally the squash is mashed and mixed through. Now that is a recipe I had never heard of! Looks great! I’m a little iffy about the hard squashes. I’ll eat them if they’re in front of me, politeness, and I’ve tried them. I’m still lukewarm about them, then if you buy one, they’re usually so huge, it takes forever to use them up! So it’s like sqaush, squash, squash, squash day after day, lol!! Simply outstanding and Awesome recipe.